Article: Update: Pollinator Garden has been CERTIFIED! Update: Pollinator Garden has been CERTIFIED! 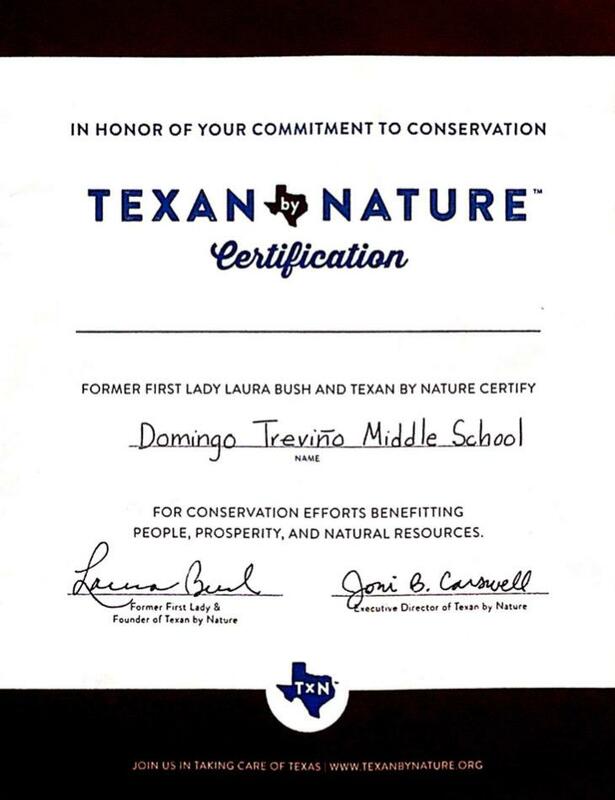 Our "Friendly Pollinator Garden Project" has been certified by Texan by Nature Organization that was founded by our former First Lady Laura Bush in 2011. TxN Certification provides Texas employers, organizations, and individuals with recognition of meaningful conservation efforts involving and benefitting people, prosperity, and natural resources.